The many people who have only experienced this powerful plant in the form of a candy may be surprised to learn of its primacy as a chief medicament in traditional herbalism. Hundreds of Chinese formulae contain licorice, a testament to its ability to enhance and harmonize the properties of other herbs. 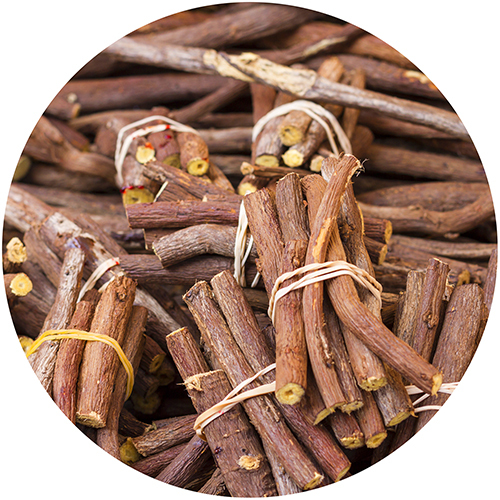 Glycyrrhizin, the most widely studied compound in licorice root, can help promote healthy inflammation response by regulating adrenal function. Additionally, it's known to support digestive, lung, liver, and especially immune health.